Most masts on production multihulls are fixed, non-articulating, aluminum extrusions and are therefore preferred for their reliability. above Yves Parlier's radical "Hydraplaneur" showing her advanced stepped hulls and biplane rig. Note how the masts are stepped on the crossbeams and not on deck; this reduces compression loads and allows a lighter build. Shroud, forestay and leach tensions are counteracted by the compression of the mast on the central crossbeam, necessitating this critical zone to be one of the strongest structures on a catamaran. Loads are measured in tons. In some recent mishaps, high-strung and under-built America's Cup racing monohulls broke in half because of these massive rig forces. below The absolute best way to attach shrouds to a multihull. Aramid lashings are very strong, extremely reliable and easy to visually inspect. We should also look at rotating masts which, if properly designed, have advantageous applications even on a cruising catamaran. As we have seen, multihull masts must cope with a large range of loads. Since momentary rig forces can be 50% higher than on monohulls, the entire rig and its support system must be stronger. This can either be achieved by beefing up the wall thickness of the mast section or by increasing its cross-sectional area. Both have their advantages and drawbacks, and it is again up to the designer to find the proper balance. Increasing the wall thickness of the mast will make it stiffer, but also heavier. On the other hand, enlarging its chord will increase windage and, if non-rotating, will spoil the important incidence of air onto the leading edge of the mainsail. Both solutions bear undesirable features, especially up high on a multihull. Another way to resist bending is to leave the mast section as it is and add more shrouds and stays, which again is not the best in terms of windage and air drag. 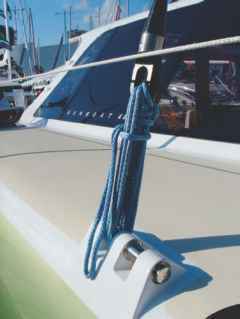 Halyards can exert a considerable amount of additional compression onto the mast; therefore, it is recommended that 2:1 halyards be utilized wherever practical. Long halyard tails might need more care in handling and stowing, yet the asset of having more purchase power to raise the mainsail, or haul someone up the mast, are additional benefits of a two-part halyard. Often, increasing the mast's cross-section is the only way to accomplish column stiffness; yet being able to shape that larger section into an aerofoil, and streamlining it into the mainsail, seems to have additional benefits. That is where the rotating mast comes in. Similar to a fixed mast, it can be self-supporting and held upright by only three wires, yet because it needs to rotate the compression is less. Mast engineers' prime objective is to structure a column that resists bending under axial compression. But, unlike the fixed non-rotating mast type, there is less down force on the mast as it is allowed to pivot around a ball located at its base. Shroud tension is usually considerably less and the big advantage of being able to turn the mast's leading edge into the oncoming airflow will reduce windage. In fact, it will effectively "pre-bend" the wind onto the mainsail luff. Optional Running Backstays and will benefit both light-air and heavy-weather performance. 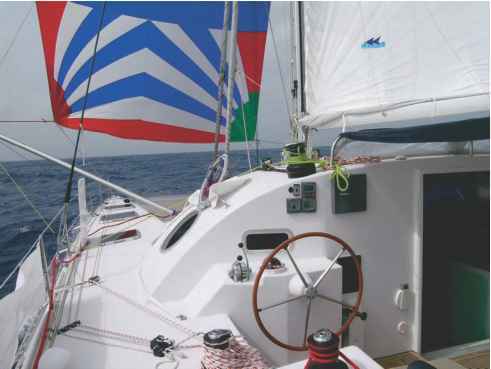 The efficiency of the mainsail can be considerably improved by permitting mast rotation to the correct angle of attack in relation to the apparent wind. Most of the drive of a sail is developed on the low-pressure, leeward side, and reducing turbulence where it counts will be rewarded with higher speeds. Rotating masts are not without drawbacks as we will discover. First, they can be considered a big moving part and we all know that whatever moves could shift more than we would want and break. Further, careful attention must be paid to the proper engineering of the hounds and the mast base. A lot of loads congregate in those zones, yet they must be designed to allow for safe operation and movement. Lastly, rotating masts present aligning problems for navigation lights and radar units. Often complicated electronic compensators need to be installed to allow for recalibrating rotation angles. Wing masts are basically rotating masts taken one step further. Their cord is exaggerated and they can generate massive lift. Some advocates swear by them, some even say they are practical storm sails, yet in my mind they are too high to be used as heavy-weather sails and can easily overpower the boat. Since they cannot be reefed, they are impractical and cannot be recommended for cruisers. Freestanding masts had a short blip on the monohull radar screen in the mid '80s, when Freedom Yachts built its mandrel spun carbon masts at TPI in New England. They made a lot of sense as they eliminated standing rigging. They were below Forward crossbeams should always be attached to the hulls by a pin, by far the strongest way to deal with the massive loads experienced in these crucial areas. Small Delrin bushings allow minimal flex, thereby dissipating the slight torque movement of the beam. 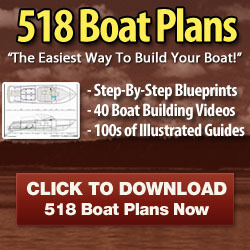 Some boats which have rigid attachments can develop fatigue cracks in that important zone. above With no one standing at the wheel, modern autopilots reliably steer the boat for days on end. Observe the poled out clew of the asymmetric spinnaker, braced to windward, to present more sail area to the wind. all keel stepped and needed to be braced by massive structures at deck level. A monohull, which can dump wind pressure when heeling, can dissipate mast loads easier than a super stable multihull. Few biplane, free-standing rigs have been tried on catamarans, but the feasibility, especially in view of the deck loads, is questionable. The essence of a multihull is light weight and stiff construction. The need for heavy bracing would negate this philosophy. Most importantly, fast multihulls bring the wind forward and sail upwind all the time, which necessitates a decent headsail and tight forestay - both of these are omitted features on freestanding masts. Besides it would be nearly impossible to "keel" step a mast into a catamaran's hull. Aside from the spruce and telephone pole rigs of the past, the most popular material for masts is aluminum and carbon. The subject of carbon fiber masts is a long one and best reserved for mechanical engineers. If one is looking for all-out performance, no matter what the price, carbon fiber makes a lot of sense. Any ounce saved up high in the rig is worth ten times its weight down low. Carbon fiber is a man-made miracle and its stiffness characteristics are among the best in the world. It is incredibly resilient in both tension and compression and shows great durability. And - it is very expensive! The truth is that one has to really weigh the benefit of a few pounds saved aloft versus the $80,000 it will cost to do so. However, carbon as a material has to be carefully scrutinized. In fact, it is produced in a variety of moduli and a top-quality aluminum mast could be better than a low modulus carbon type. Reliability is also an issue. Lately there have been a number of lightning strikes on carbon rigs, which could have something to do with their conductivity characteristics. If I were to build a personal multihull racer, carbon would be my choice (if I could afford it). For an easily serviced world voyager, I'd take a good aluminum mast any day, and get a longer boat with the savings. 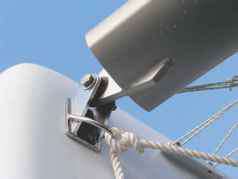 How are catamaran masts fixed down? How to rig a mast for a catamaran? How is the mast fixed to a catamaran? Do multihull sailing yachts brake masts often? Can you put a mast on a catamaran boats? How to make catamaran mast? How is a mast fixed to a boat? What is a carbon fiber mast on a catamaran diagram? How is the mast attach on a catamaran? How to get mast up on small catamaran?